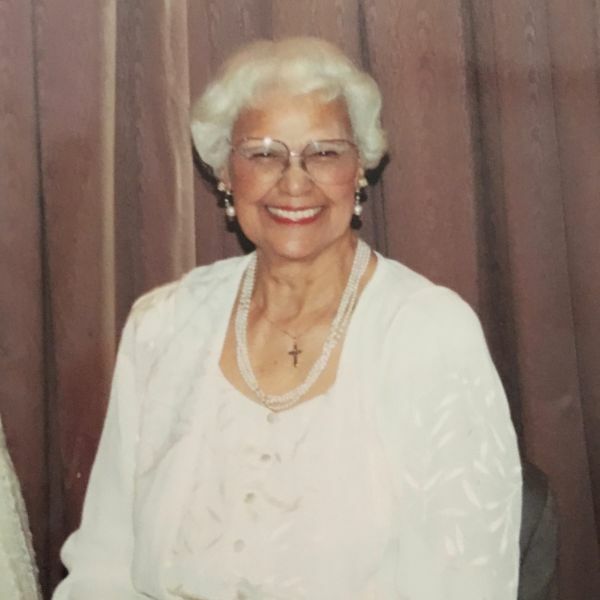 The Service of Thanksgiving for the life of Sylvia Johnson, who died on Oct 27th at the age of 95, will be held this coming Saturday, Nov 5, at 12 noon in the main sanctuary. Flowers and condolences may be sent to the church to be collected by the family. In the meantime, please keep Sylvia, her children and the extended family in your prayers. Sylvia L. Johnson, nicknamed "Dolly" was born in New York City on June 27, 1921, the daughter of two Caribbean emigrants from the small island of St. Kitts. Her father was Wifred B. Brownbill, a Red Cap for the railroad. Her mother Marjorie Pennyfeather-Brownbill, born in India and raised in St. Kitts, was a housewife and seamstress. Sylvia was the fourth of four children. David, Iris, and Honorine have preceded her in death. She grew up and married in New York to Thomas Johnson and shortly after followed her sister Honorine and mother to Los Angeles to start a new life leaving behind many friends and relatives. In 1944 their first son was born, Ronald. They were becoming home sick for New York so they went back for a little while but they eventually decided to stay in California. Soon after their second son Thomas Jr. was born. At this time they decided to buy house in Compton, California and shortly after their third child was born, a daugther name Gayle. This was the last edition of the Johnson Family for now. There were to be many more descendants in the future. The house in Compton on Anzac is where Sylvia and Thomas raised their children for over thirty years. When her husband passed, Sylvia decided to leave Compton and be near her sister again in Los Angeles. Her husband worked for Los Angeles County for over 30 years before he passed away. Sylvia worked for Bullocks Wilshire Department Store for over 35 years before she retired. They were married for over 35 years. After retirement Sylvia was a devoted sister, mother, and grandmother and enjoyed being with family and friends. After living in Los Angeles for a while Sylvia's sister and her husband wanted try something new and they moved to Santa Monica and not far behind was Sylvia after her sister said there's a place right across street where she could live. At this time Sylvia was 70 and her sister Honorine was 77. After a few years went by Honorine's husband passed away and from that day on Sylvia and her sister were joined at the hip: where you saw one the other was not far behind. They enjoyed everything together, it was a loving and caring relationship they had and it benefited both to point they live long and fruitful lives. And spiritually they both had such strong faith in their church and Christian beliefs. She belonged to St. Phillip’s Church in Harlem, St. Phillip’s in Los Angeles, St. Martin’s in Compton, and St. Augustine by-the-Sea for the past 23 years. She loved her church and was involved in many fund raising events. She is survived by her three children Ronald, Thomas, & Gayle Johnson, 8 grandchildren, 17 great grandchildren, many more nieces, nephews, cousins and friends. The family wants to say we love and cherish you forever Sylvia. We will miss your smile, your kindness, your gentle spirit and above all YOU. The Johnson Family extends many thanks and appreciation for all the loving sentiments shown and words of encouragement as we mourn at this time. Sylvia will be interred at Inglewood Park Cemetery on a future date.